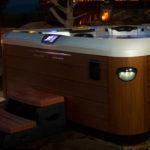 If you’d prefer a built in look for your portable Hot Tub you might want to consider a vaulted spa. 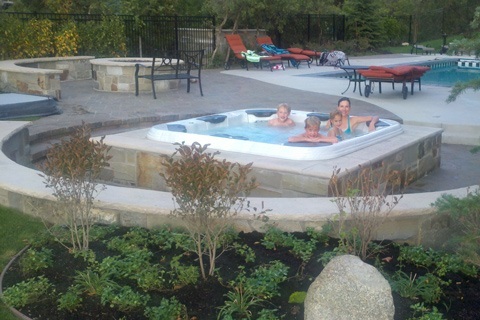 Have the look of an in-ground spa with a lower price and easier requirements. To make it easy to understand, first imagine a portable spa with a spa cabinet. All of the equipment that runs the spa is in the cabinet. All you provide is electricity then you fill it with a garden hose and turn it on. The portable spa is insulated so it’s able to economically keep the water warm and ready to use 24/7. Now imagine digging a square hole in your backyard and building a concrete box inside that hole. You have just created the “Vault”. Now simply lower the BullFrog Spa into the vault and…viola…an inground looking spa! 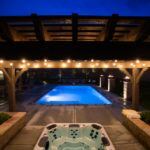 You can design additional masonry (or wooden) decks, planters, fire-pits or whatever can be imagined to complete and customize your yard. These installations are created with backyard beauty and harmony in mind. 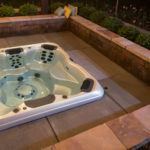 Contact us today to get your spa today that completes your backyard dream. A vaulted spa can be operated using little effort, offering you the benefit low cost of ownership. A vaulted spa can be kept warm and ready for use. You won’t have to wait to heat it up! You also gain the advantage of factory insulation without subjecting your spa to constantly changing ground temperature, so the heating costs are kept at a minimum. 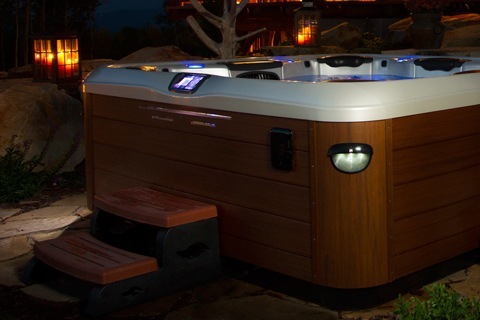 A BullFrog Spas has up to 270 therapy jets as opposed to conventional spas that have approximately 8. There is no need for plumbing if you own a vaulted spa. All of the pumps, motors, and equipment are secured inside the spa cabinet, so the spa runs quietly and there’s no equipment area using up yard space. 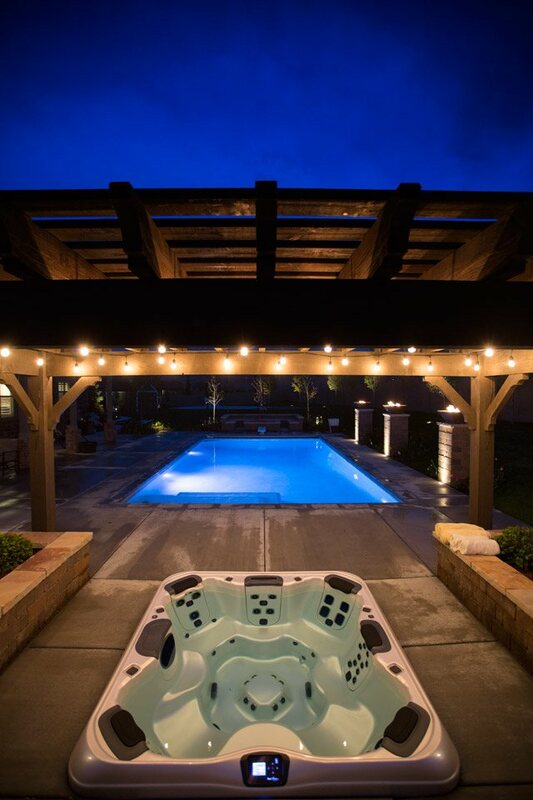 The Vault Spas prove, again, why Mission Valley Spas has become synonymous with variety. 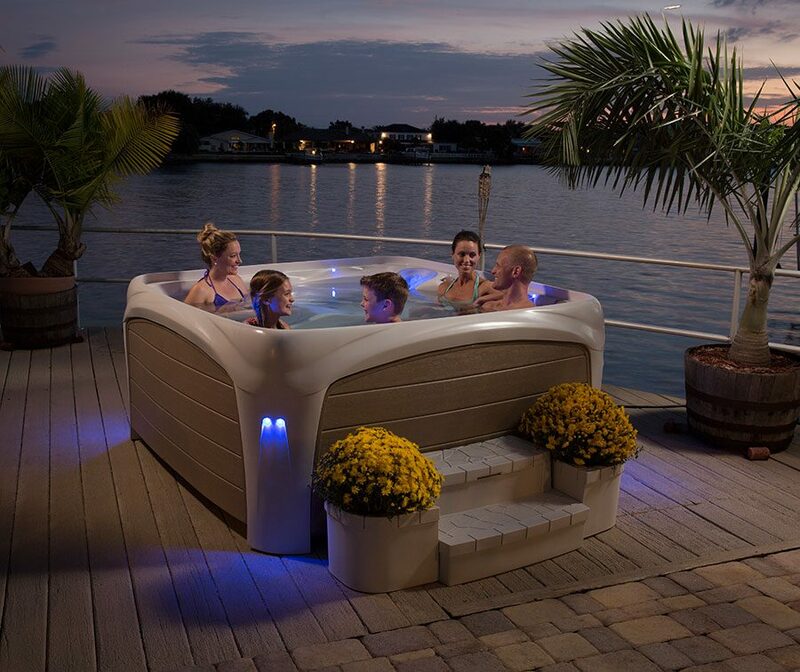 Have the look of an inground spa but maintain the massage therapy, relaxation, family time, and entertainment of a portable. 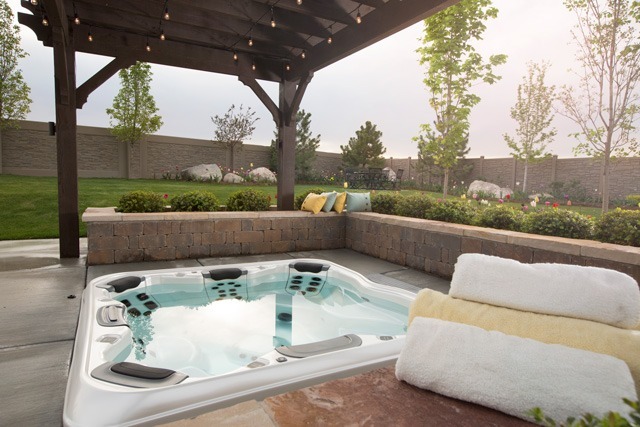 Discover the variety of different prospective spa vault products offer at your home and order yours today at Mission Valley Spas!